Booklet: The Confraternity of the United Hearts Member Handbook in Spanish. 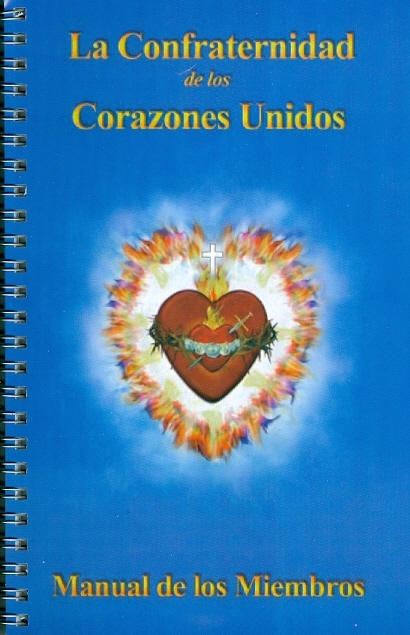 Handbook for those choosing to join the Confraternity of the United Hearts, established by Jesus. Includes explanations for a better understanding of The Chambers of the United Hearts, definitions of specific terms used in the Messages, Prayers, Membership Guidelines, Prayer Chambers, and enrollment information. In Spanish language. Front cover measures 5.5 x 8.5 in. Softcover. 45 pages.